The Montblanc 1858 Collection pays tribute to the manufacture founded under the name Minerva: introducing contemporary timepieces quoting vintage lines inspired by chronometer watches created throughout its 157-year history. 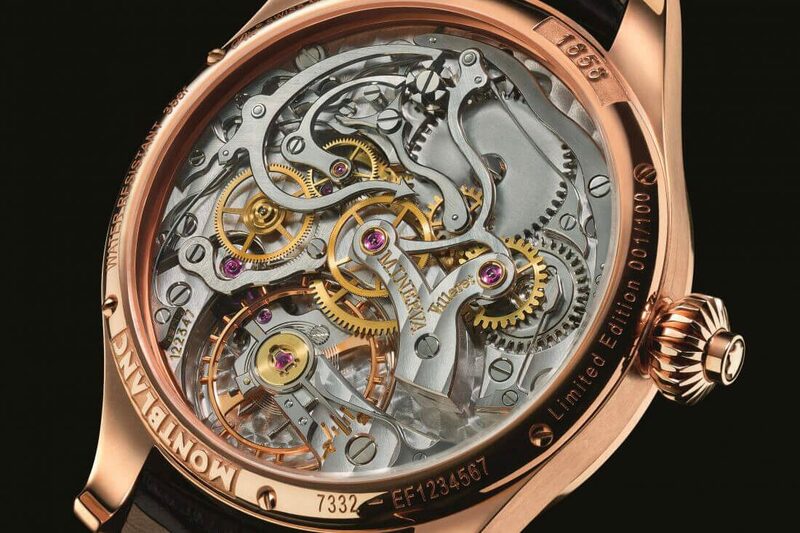 Composed of an 18-karat round, red gold case with curved horns. This watch, with its hand-wound mechanical calibre finish, captures the spirit of technical advancement that marked the 1930s. Even with its luxurious finishes, it still presents key historical design features, like the bevelled crown with its coaxial push-piece and a black dial combining large luminescent Arabic numerals with a tachymetric scale.